From 1839 to 1846, the headquarters of The Church of Jesus Christ of Latter-day Saints was located in Nauvoo, Illinois. Under the prophetic leadership of Joseph Smith and Brigham Young, Latter-day Saints worked together to build a community and a temple there. The temple was a focal point in the landscape of the city and in the lives of the Latter-day Saints. Today Historic Nauvoo is open to the public. 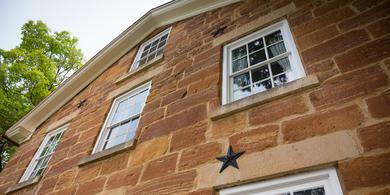 Visitors enjoy tours and activities in historic homes, shops, and other buildings. The temple has been reconstructed, and the temple grounds are open to the public year-round. Entrance into the temple is limited to members of The Church of Jesus Christ of Latter-day Saints with current temple recommends. For information about visiting Historic Nauvoo, click or tap here. 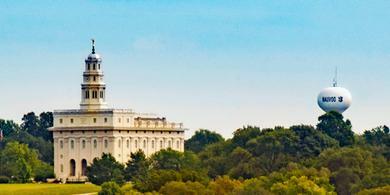 For information about entering the Nauvoo Illinois Temple, click or tap here. In Nauvoo, the Lord revealed truths and practices that continue to guide His Church today. His revelations to the Prophet Joseph Smith included the founding of the Relief Society, the practice of baptism and confirmation for the dead, and temple marriage. The Lord also inspired Joseph to confer priesthood keys on the Quorum of the Twelve Apostles, preparing them to lead the Church if Joseph were to die. After Joseph’s death in nearby Carthage, President Brigham Young and other Apostles led the Church. On June 27, 1844, the Prophet Joseph Smith and his brother Hyrum were martyred—killed by a mob that attacked them in Carthage Jail. Joseph “sealed his mission and his works with his own blood; and so [did] his brother Hyrum. In life they were not divided, and in death they were not separated!” (Doctrine and Covenants 135:3). The original jail in Carthage, Illinois, has been carefully restored and is about a 30-minute drive from Historic Nauvoo. Missionaries lead tours there, where visitors learn about the ministry of Joseph Smith and the final days in the life of Joseph and Hyrum. For information about visiting Carthage Jail, click or tap here. 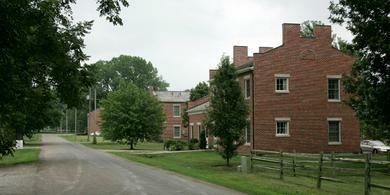 At Carthage Jail, visitors also learn about two other men, Elders John Taylor and Willard Richards of the Quorum of the Twelve Apostles. They were in the jail when the mob attacked, and they survived. The Church itself also survived, as Apostles and others built on the foundation the Lord had established through His servant Joseph Smith. At Historic Nauvoo and Carthage Jail, The Church of Jesus Christ of Latter-day Saints offers a wide variety of experiences—from guided tours to entertainment to quiet contemplation.